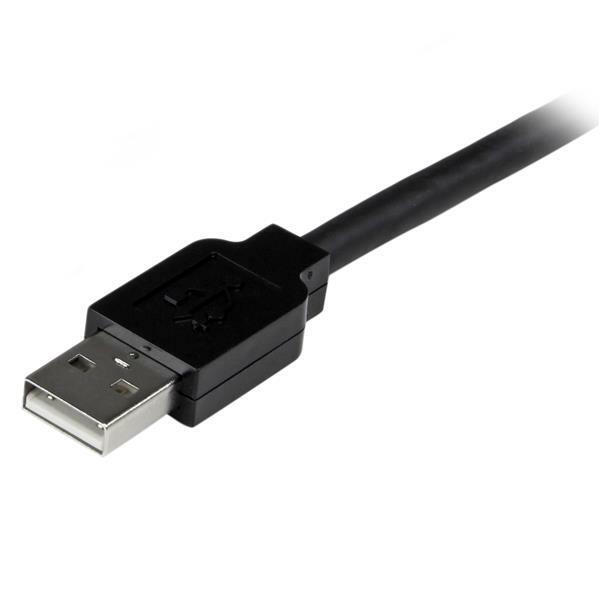 The USB2AAEXT35M 35-meter Active USB 2.0 Extension Cable, offers one USB type-A (male) connector and one USB type-A (female) connector, and provides an active extension of USB 2.0 devices of up to 35-meters (115-feet). 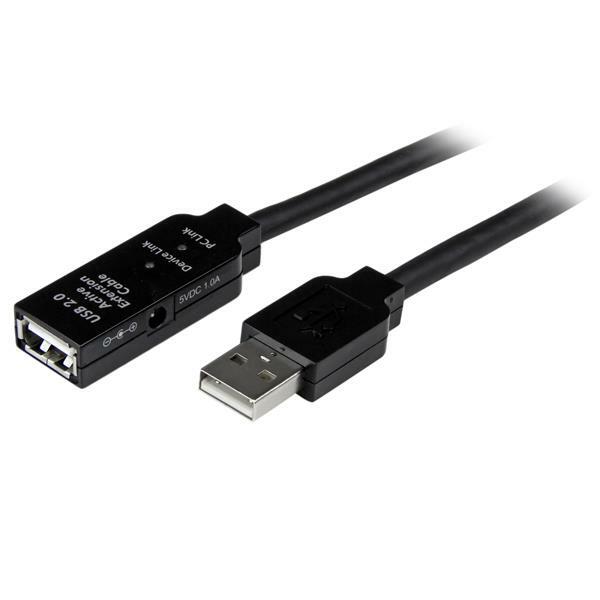 An all-in-one cable for overcoming distance restrictions as well as power source limitations, the active USB 2.0 extension cable incorporates bus-powered active circuitry to ensure performance beyond the length limits of standard USB cables. 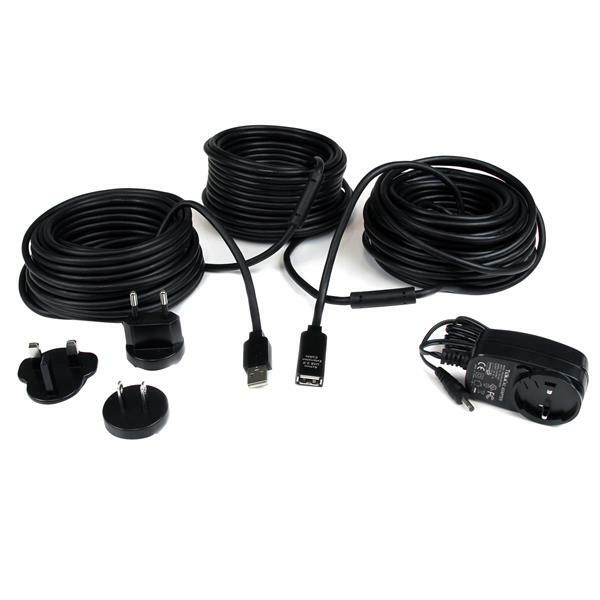 If necessary, the USB device can be powered from a wall outlet using the Universal AC power adapter provided with the cable. 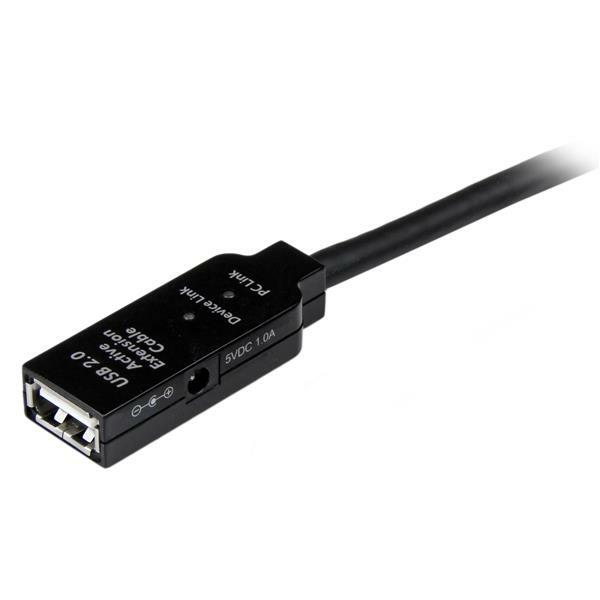 The USB2AAEXT35M extension cable (USB Extender) supports transfer rates of up to 480 Mbps, and is backed by StarTech.com's 2-year Warranty.